Well, here it is my fellow style mavens- this is my go-to uniform for fall. A blazer, a comfy tee, a great pair of jeans and some festive footwear. However, this fall I plan to add a new accessory into the mix… THE WOOL FEDORA. Add it to a dressier look for a more casual cool vibe, or throw it on during one of those days when your hair is just being completely unruly. Regardless of what your reason may be, this piece should definitely be on your list of “must-haves” for fall. The shoes, the hat, the bag… everything!! I am losing control!! chic as always!!! I adore your heels, and I adore the whole combination… a bit casual but so elegant with red hat and perfect black and white heels!!! Love the red hat! It looks so great with your black and white outfit. Very casual chic! Bam, love the Michael vibe in this outfit and damn, I was waiting for you to wear these heels 😀 LOVE! 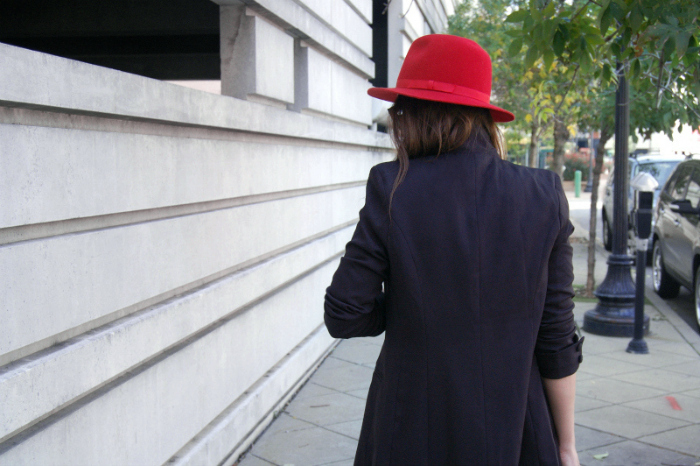 Love the pop of colour from the hat and I really like your shoes! 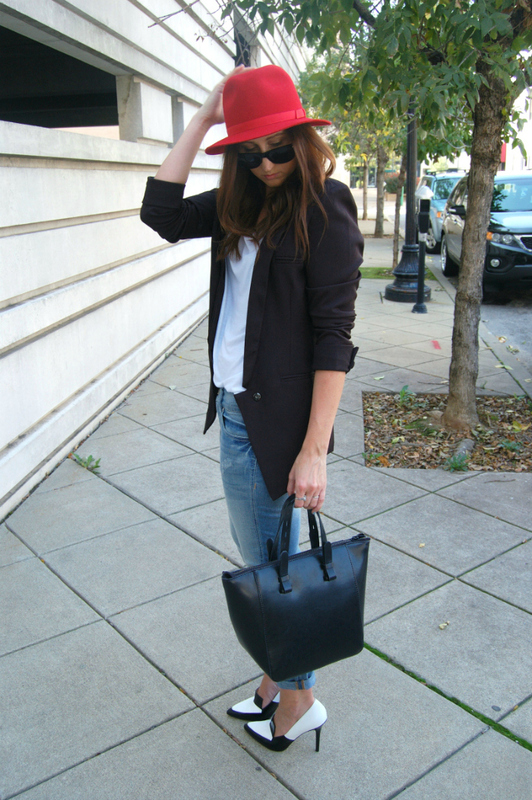 You could wear this look anywhere and look perfectly chic – loving the red hat!! I love the hat whose bring a pop of color and the lazer is looking great!!! Really love to see this red hat with this outfit, you look good!! !